What’s the magic combination that transforms a coffee shop into a facet of the local community? 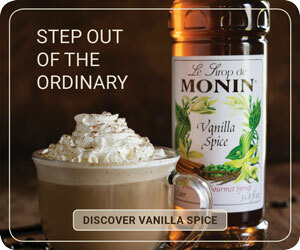 How can a small, independently owned café influence the global industry? 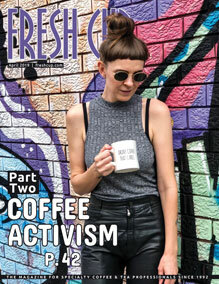 Fresh Cup is clocking in to work a shift behind the counter at some of the most innovative cafés we can find for our monthly #Café4aDay social media immersions to find out, and share what we discover with our subscribers. The first event in December took Fresh Cup Associate Editor Jordan Johnson to Nossa Familia Coffee’s Seven Corners café in Southeast Portland. 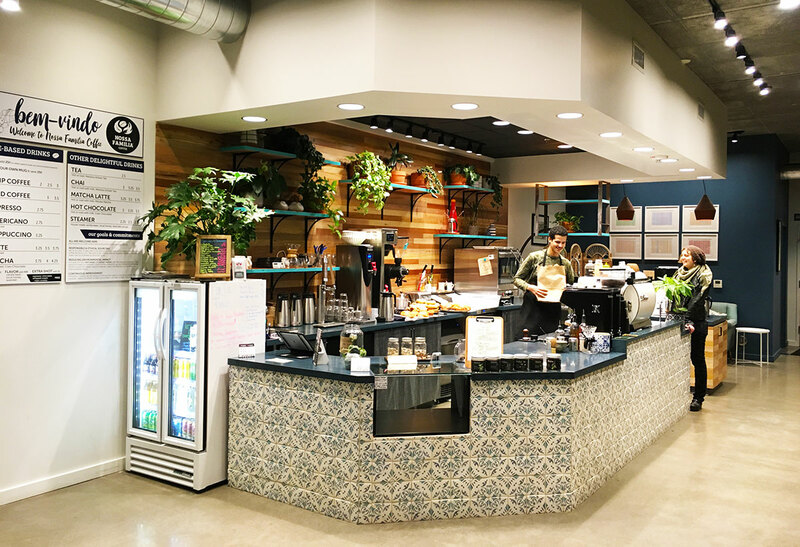 Shop manager Camille showed us how the shop maintains a zero-waste operating system and demonstrated how to make hot oatmeal using the café’s espresso machine (in a reusable glass container, of course). Barista Khafre also took things to expert level and showed off the mastery of his craft by simultaneously making two cappuccinos at once. 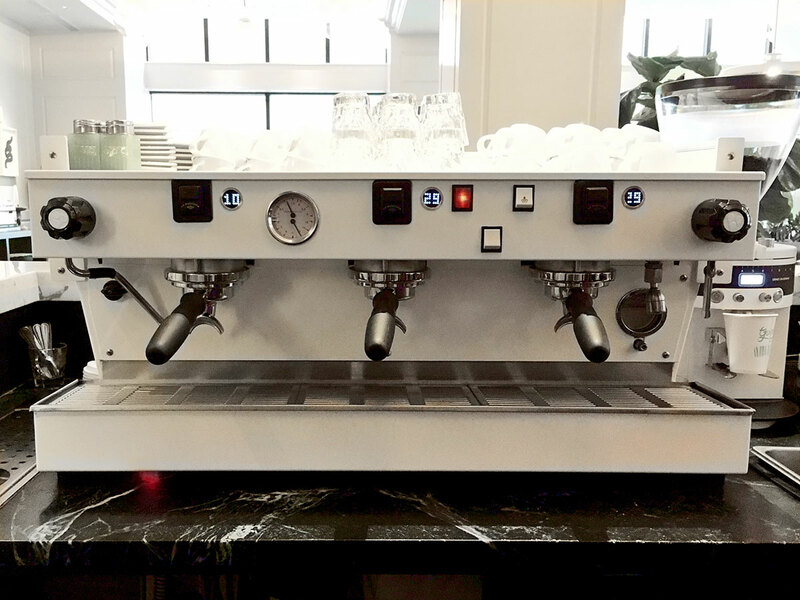 The second #Café4aDay voyage took us to burgeoning Portland café chain Good Coffee in their newest location inside the Woodlark Hotel on Tuesday, February 5th. 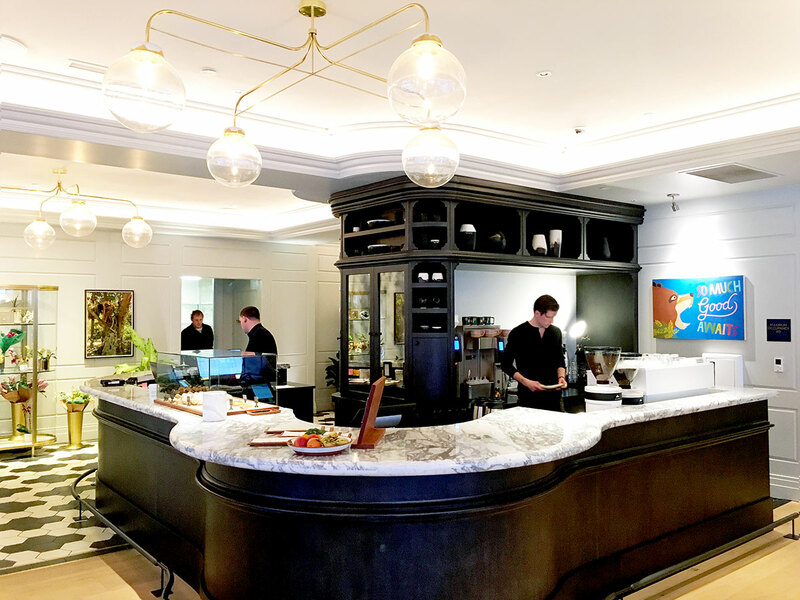 The chic space seamlessly integrates the café into the hotel’s lobby; baristas and hotel clerks even work behind the same marble counter. Gorgeous coffee table books and healthy plants fill the seating area, encouraging both locals and hotel guests to linger in comfort while sipping from one of the cafés custom-made ceramic mugs. Behind the counter, baristas Jessie and Austyn made drinks on a vintage La Marzocco Linea Classic, which was refurbished by local Black Rabbit Service Co. A new powder coat of matte white, vintage on/off switches, and custom fabricated timers were all added to the machine to bring it back to life. 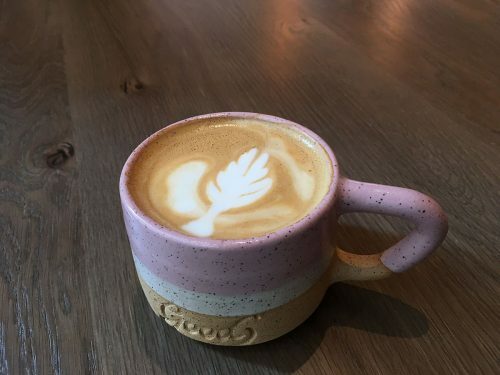 The Woodlark café is the fourth location of Good Coffee to open in Portland in just four and a half years. Brothers Sam and Nick Purvis founded the business as a way to make their dream of sharing with the world the hospitality they experienced at the family dining table growing up together a reality. During the event, Nick graciously taught Jordan how to pour her first cup of latte art, which you can watch here. 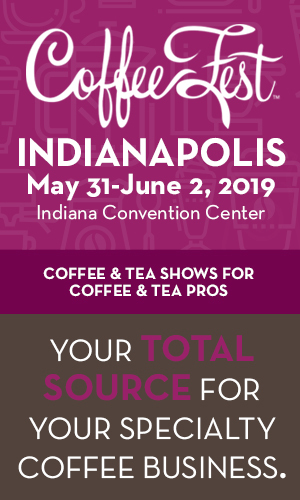 Be sure to follow Fresh Cup on Instagram @FreshCupMag to catch all future #Cafe4aDay events and get a peek behind the counter of the coolest cafés we can find. 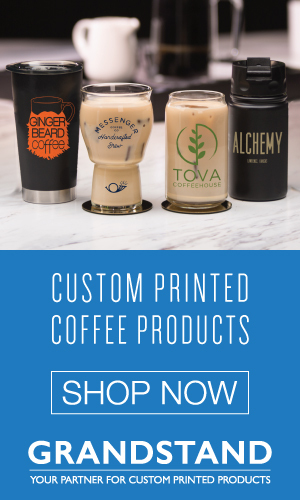 Interested in having your café featured? Email Associate Editor Jordan Johnson at freshed@freshcup.com to be considered.